I have a few layouts around blog world today. My VERY first MyStampBOX post is up HERE. 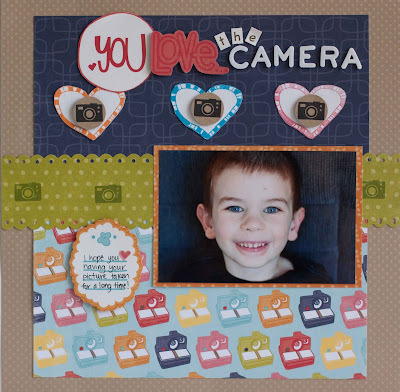 I used Echo Park's At the Playground for this layout about my little guy and added two different MyStampBox stamps (the mini camera and the hearts). I read somewhere that a photographer gets children to look in the lens by asking if they can see the little dinosaur in there. I wish I could remember where I read it because it WORKS like a charm! He asks me to take pictures of him so he can see the little dinosaur lol. With him looking right into the lens and standing still (so as not to frighten the dinosaur away) and smiling (because the dinosaur is shy) I am able to get crystal sharp eyes! I picked the MyStampBOX stamps to match the theme of the layout and the graphic in the patterned paper. I used the first three cards to go along with my title and journaling about my 3 sweeties. 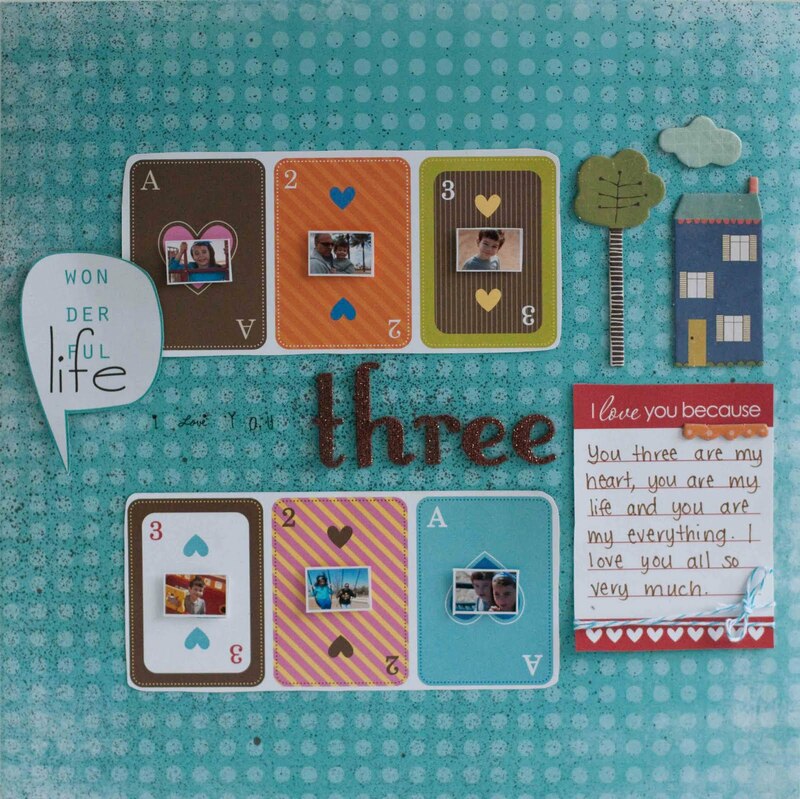 Be sure to check out the Scrapbook Circle blog for other inspiration using the Hello, Sunshine! kit. And keep checking back because in the month of May, Scrapbook Circle is celebrating their 5th anniversary! There will be two kits available -a May kit and an anniversary kit-and they are both ABSOLUTELY amazing!! Plus there will be challenges, giveaways and all other kinds of fun going on at the Scrapbook Circle blog--you won't want to miss a day! oh i just love how you used camera stamp!!!! and that kit looks scrumptious! LOVE your projects, and I just love the small pics!!! Great job Rebecca! Love your page with the lil' man and that dinosaur story is fab!Works like a charm, eh! Also way cool how you used index prints in the playing cards... great detail! Beautiful layouts!!! The first one of your son is stunning, that is such a GREAT photo of him!!! And I love the 2nd one, the playing cards are just so clever. Love them!! what fun lo's! great little trick for picture taking- i love it! :) those playing cards are adorable.